Brushing and flossing is necessary for optimal oral health. This is no less true while undergoing orthodontic treatment. In fact, oral hygiene is perhaps even more important during this time, as food and plaque can become easily trapped in the brackets and wires. 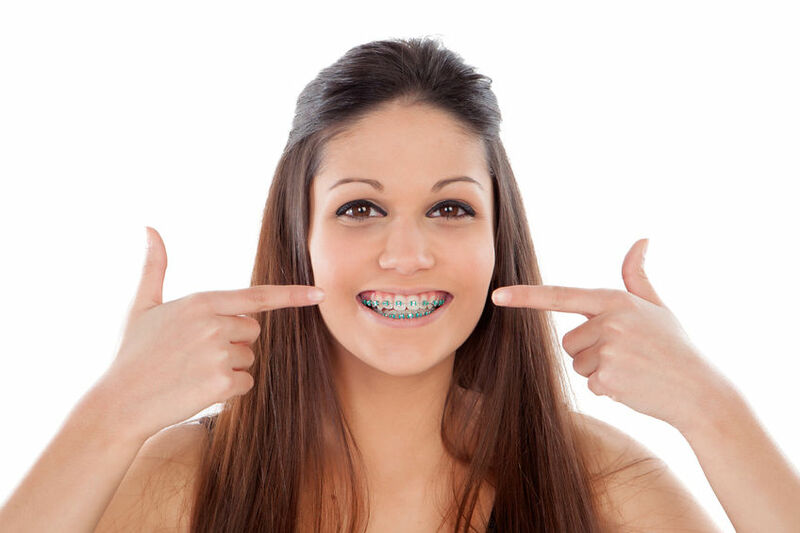 Our team at Smile Orthodontics can help you achieve and maintain healthy teeth and gums during braces and beyond. We know we are supposed to brush and floss. But why, exactly? The plaque deposits that accumulate around our teeth every day harbor bacteria. These bacteria can wreak havoc on our teeth and gums. If plaque is not routinely removed, it can lead to the breakdown of enamel, making the teeth more vulnerable to decay. Additionally, the bacteria can cause inflammation in the gums, resulting in gingivitis and gum disease. Problems such as these can be prevented by routine dental cleanings and a proper at-home hygiene regimen. Dental cleanings are necessary for everyone. But when you are wearing braces, it is extremely important to maintain a routine cleaning schedule with your hygienist. Bacteria levels in the oral cavity begin to repopulate every few months. This can be exacerbated while wearing braces. By removing the plaque and tartar from your teeth, you can give yourself the best chance of successful treatment and long-term oral health. Dental cleanings are an excellent way to remove cavity-causing irritants from your teeth. However, to maintain optimal oral health, you must do your part to keep your teeth clean between visits. Brushing and flossing while wearing braces can be a bit challenging at first. Our team of experts is here to help you determine an at-home oral hygiene routine that will work best for your specific needs. Use a proper toothbrush: Medium or hard toothbrushes should never be used, as these can damage the enamel. A soft-bristled brush will not only help you protect your teeth and gums, but it will help you clean hard-to-reach areas more easily. You may even want to consider a bi-level tooth brush. These brushes have shorter bristles in the middle, and longer bristles on the outer edges. An electric toothbrush is also a great investment. Clean between the teeth properly: Braces make it difficult to floss. However, cleaning between the teeth is essential for oral health. You can use a floss threader to help you clean around your wires and brackets. Some patients find that an interproximal brush or a dental pick works even better. We can help you find a combination that will work well for you. Consider regular fluoride treatments: During orthodontic treatment, it is never a bad idea to receive regular fluoride treatments, particularly if you are prone to cavities. We may recommend topical treatments in our office, or prescribe an at-home fluoride supplement. Use an antibacterial mouth rinse: Because the teeth are more difficult to clean when wearing braces, some patients experience gum inflammation or tenderness. Using an antibacterial rinse can soothe the gums and keep them healthy. Remember that mouth rinse is a supplement; it should never be used as a substitute for proper brushing and flossing. If you would like to learn more about dental hygiene, or if you would like to schedule an appointment, reach out to a team member. You can contact us online anytime, or call one of our Suffolk, VA locations.